Motorola One Power₹ 15,999, the affordable smartphone by the Lenovo-owned company that was launched in India back in September with Android 8.1 Oreo, has now been spotted on Geekbench with Android 9.0 Pie. The latest development comes months after an Android Pie soak test programme was announced for the Motorola One Power. 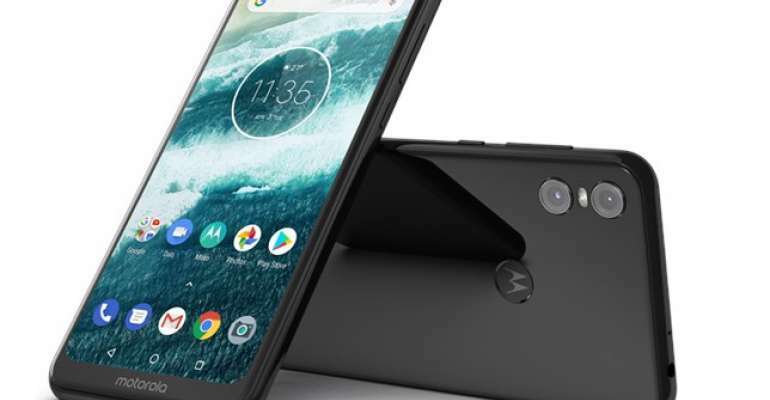 The smartphone maker also revealed that it would release Android Pie for the Motorola One Power sometime by the end of this year. The handset is notably a part of Google’s Android One programme that is mainly aimed to offer timely software updates. Ahead of any formal schedule, a Geekbench listing has surfaced showing a Motorola One Power with Android 9 Pie. This suggests that Motorola is presently testing an Android Pie update for its latest affordable smartphone. Importantly, Product Manager Abhishek Kumar at the sidelines of the Motorola One Power India launch revealed that Motorola would start taking registrations for the Android Pie soak test by mid-October. The update was expected to reach through a stable channel by the end of the year. Apart from the Android 9 Pie, the Geekbench listing shows the Motorola One Power with a single-core score of 1,274 and multi-core score of 4,508. The benchmarks have been uploaded online on November 2. This means the smartphone could receive the latest Android version sometime in the coming days. It is worth noting here that Motorola has a strong record of delivering major updates to its smartphones. The company recently started rolling out Android 8.1 Oreo for the Moto G5 and Moto G5 Plus in India. The company also brought Android Oreo to the Moto X4₹ 12,999 and Moto Z2 Play₹ 14,890 earlier this month. However, it reportedly restricted the Moto G6₹ 9,569 Series to only one major Android update and abandoned the Moto E5 lineup from receiving even the next big software version. The Geekbench listing was first spotted by MySmartPrice. The dual-SIM Motorola One Power features a 6.2-inch full-HD+ LCD Max Vision panel along with a 19:9 aspect ratio. The smartphone has an octa-core Qualcomm Snapdragon 636 SoC, coupled with an Adreno 509 GPU and 4GB of RAM. There is a dual rear camera setup that includes a 16-megapixel primary sensor and a 5-megapixel secondary sensor, with support for 4K video recording. For selfies, the smartphone has a 12-megapixel sensor at the front. Motorola has provided 64GB of internal storage that is expandable via microSD card (up to 256GB). The Motorola One Power also has 4G LTE, Wi-Fi 802.11ac, Bluetooth v5.0, GPS/ A-GPS, USB Type-C, and a 3.5mm headphone jack. Further, there is a rear-mounted fingerprint sensor. The smartphone packs a 5,000mAh battery that is rated to deliver six hours of usage in 15 minutes using the 15W TurboPower fast-charger. The Motorola One Power was launched in India with a price tag of Rs. 15,999, and it is exclusively available for purchase through Flipkart.